Welcome to the home of Sachem Little League and Softball "The Best Game in Town"
Registration is now open for our 2016 Snowflake League, with T-Ball (ages 4-6) and Farms (7-8) divisions available. The cost is $75 per player, which includes a hat, t-shirt and a 10-game schedule. T-ball games are Wednesday and Saturday. Farms games are Thursday and Saturday. If you'd like to register in person, by cash or check, please reply to this email and let us know. Why is Sachem Little League the best game in town? Every little league player dreams of going to Williamsport, PA and playing for the little league world series title. Only a select few leagues offer children this opportunity and Sachem Little League is the only league in our district that is chartered. What that means is each season 12 players are selected in age groups of 10 years old and above and those players represent Sachem and play against other districts in our area. If they win our area they go to the regional tournament, if they win the regional tournament they qualify for the Little League World Series!!! That is what separates Sachem Little League from all others and truly makes us the “Best Game in Town”!!! Sachem LL "Little League of the Ronkonkomas Inc." Monthly Board Meetings. 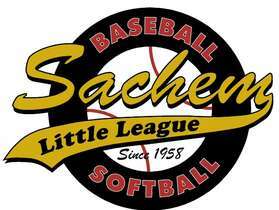 Sachem Little League conducts monthly board meetings on the first Monday of every month througout the year. These meetings are open to all who wish to attend. The Board welcomes you to come down so you can learn more about our little league and to share any concerns, or ideas you may have to help us continue and improve. Please see our calendar for the date and time of our next Board Meeting.